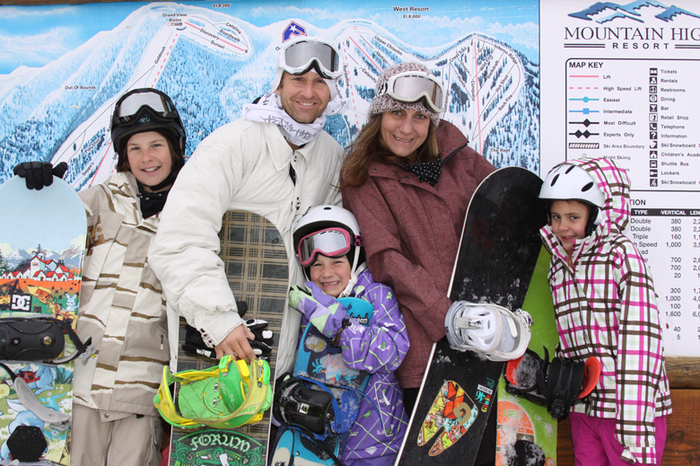 Bring the family closer this winter with a trip to Mountain High. We’re Southern California's Closest Winter Resort, just 20 minutes off the 15 Freeway with no mountain driving. Spend the day exploring the beginner trails at the North resort, stretching your legs on the long runs at East, or getting some air in the terrain park at West. Your single lift ticket is good at all three areas and there are free shuttles running between East and West. Plus Mountain High is open every night peak season until 10pm. Check the Hours Calendar here for complete details. Kids love to learn at Mountain High and we have award-winning programs specially designed to take your first-timer from a never-ever to an all mountain explorer. See below for the program that is right for you. Mountain High’s acclaimed Children’s Academy makes winter fun a priority for the kids….and for you! Programs include morning and afternoon lessons, 8-hour lift ticket, rentals, snack, healthy lunch, and progress card. Click here to get your child started at Mountain High’s Children’s Academy. The Grommet Freestyle Camp is an innovative, interactive training program for students ages 10 to 12 with a major emphasis on safety and environmental respect. Coaches are specially trained, high-energy instructors who make it cool to be in school. Includes equipment rental ($300 deposit for snowboards), 8-Hr lift ticket and lunch. Click here to learn more. Children experience winter in a whole new way during our weekend YMCA Camps filled with instructional skiing, snowboarding, and tubing! Receive a weekend of skiing, snowboarding or tubing including lift tickets, rentals, lessons, lodging, food, and entertainment for as little as $239. Click here to learn more about these exciting weekend adventures. This 5-week program provides both children and teenagers the opportunity to learn & excel at skiing and snowboarding in a supportive, friend-filled environment. This year marks our 20th anniversary and we have taught more than 12,000 students in our camps over the years. Make this the year your child excels with the Blue Angles. For those serious about the skiing or snowboarding education, Team Mountain High is the organization for you. We offer comprehensive ski racing, freestyle skiing and snowboard programs designed to improve technique, competitive attitudes, sportsmanship, and a good work ethic. We train racers in physical preparation, ski and snowboard preparation, technique, and racing theory. At Team Mountain High you learn from the best. Our race coaches are USSA certified and our snowboard and freestyle coaches are PSIA certified. Click here to take your kids skiing and snowboarding abilities to a whole new level.